Santa Monica, California, April 6, 2016 – Apogee Electronics is pleased to announce the availability of the Symphony I/O Mk II HD audio interface, designed for Pro Tools HD systems. Symphony I/O Mk II is a multi-channel audio interface featuring Apogee’s latest AD/DA conversion, modular I/O (up to 32 inputs and outputs), intuitive touchscreen display and optional world-class microphone preamps. 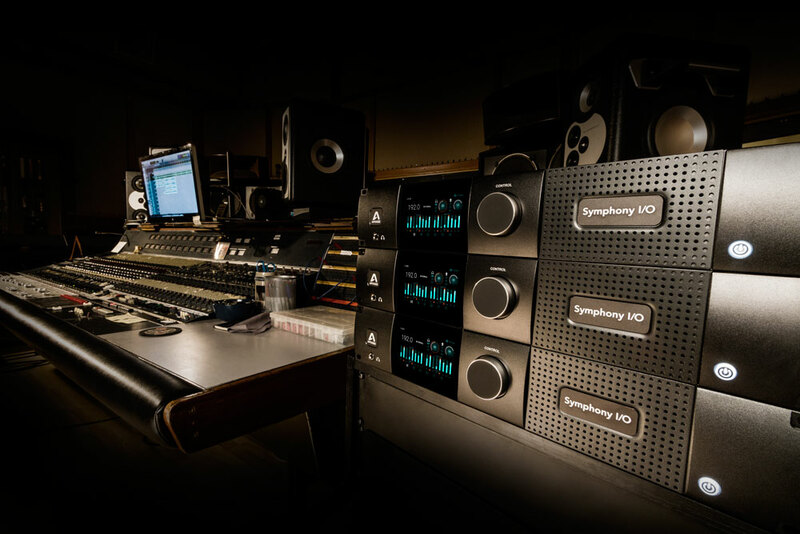 Since the first generation was released in 2010, Symphony I/O has been a gold standard for the professional recording industry and utilized by a wide variety of commercial studios, producers, engineers and artists worldwide such as Bob Ludwig, Spike Stent, Bob Clearmountain, Dave Tozer, Nathan Chapman and Studio 606. Apogee engineers have made it their passion to improve every new flagship product by using the latest components and designing circuitry that often exceeds the expectations of the component manufacturers. This is the Apogee Advantage. Symphony I/O Mk II is the culmination of this 30 year commitment and raises the bar on all Apogee flagship products that have come before it, offering even better audio clarity and sonic transparency. When equipped with either the brand new 8×8 or 16×16 Mk II I/O modules, Symphony I/O Mk II outperforms all other multi-channel audio interfaces available for Pro Tools HD.